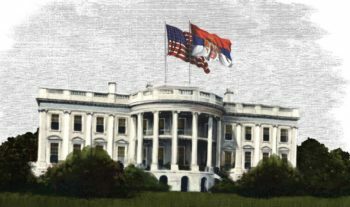 Visit the U.S. Embassy in Serbia site below to learn so much more about this great event! 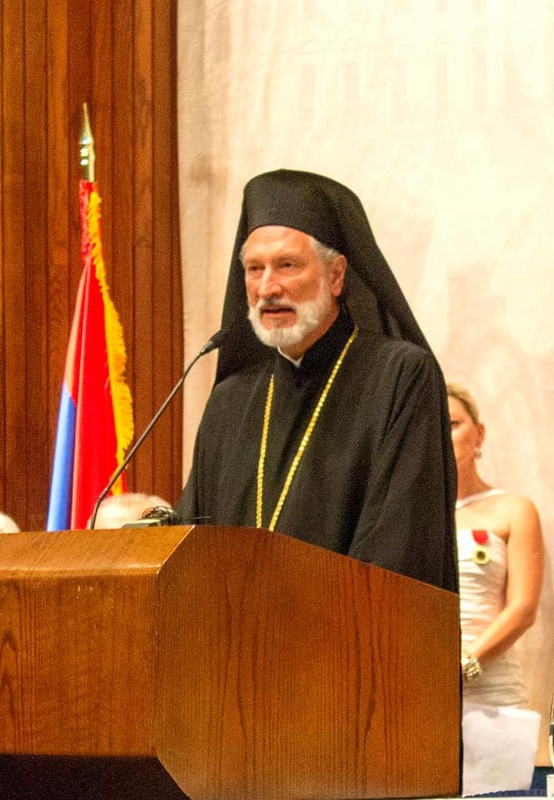 12:00 P.M.- Opening Prayer for the House of representatives by His Grace Bishop Irinej of Eastern America at the U. S. Capitol Building. 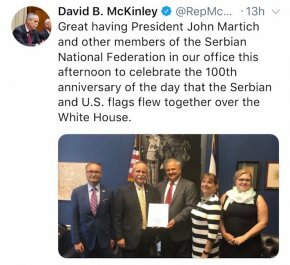 3:30-5:30 - Reception at the U.S. Capitol-House Visitor Center 201 co-hosted by the Serbian American Congressional Caucus, the Embassy of Serbia and the WWI Centennial Commission. 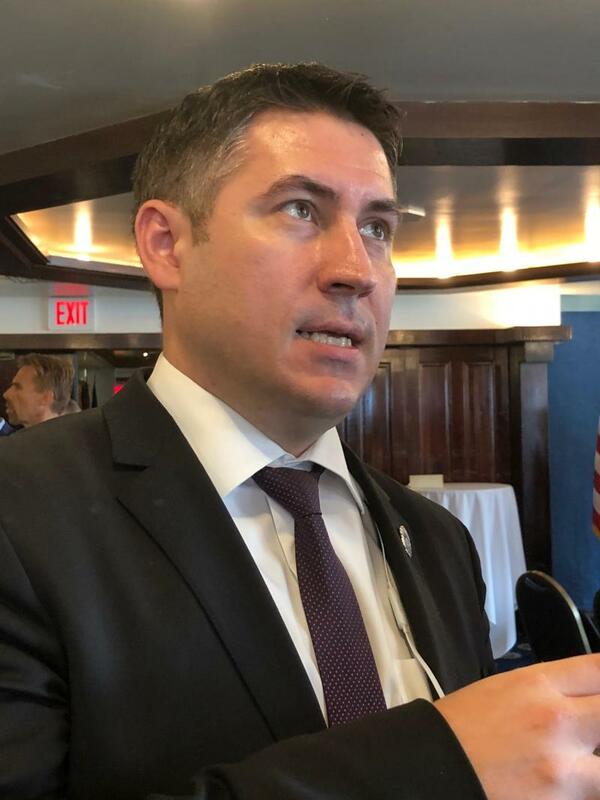 1:00-5 :00- Academic Symposium at the National Press Club sponsored by the Serbian National Defense Council of America. 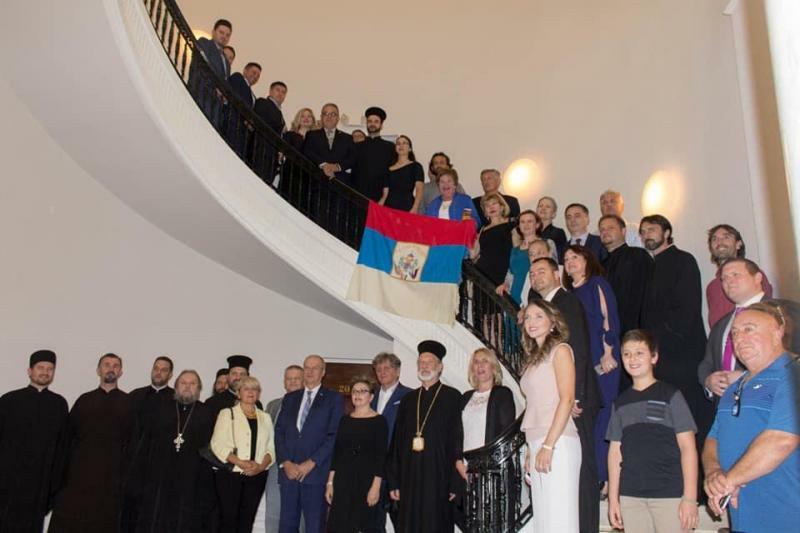 The Speakers were: His Grace Bishop Irinej of Eastern America and Ambassador Djerdj Matkovic. 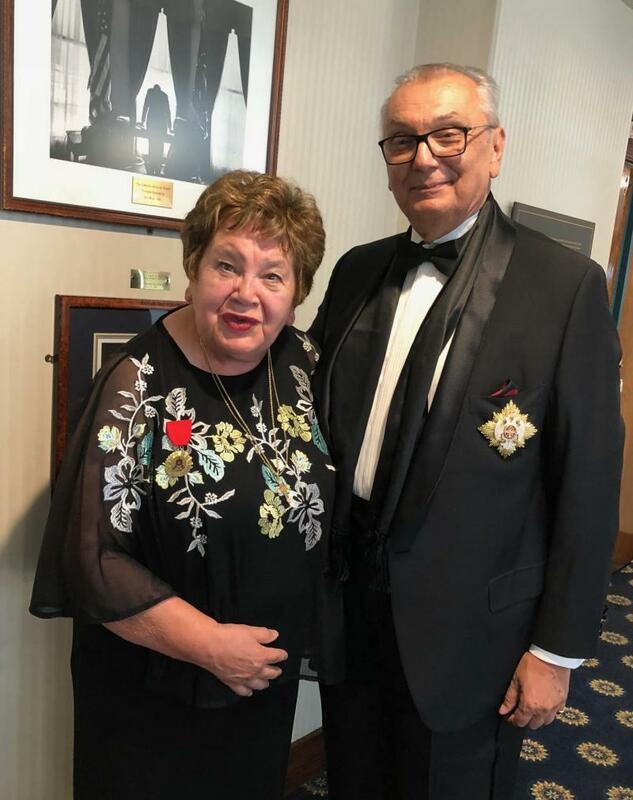 Professor Dr. Krinka Vidakovic-Petrov was the Keynote Speaker. She was followed with a Panel Discussion led by Dr. Branko Mikasinovic as Moderator, Prof. Dr. Gordon Bardos, Prof. Dr. Julian Schuster, Hon. Branko Terzic and Rev. Dr. Vasilije Vranic. 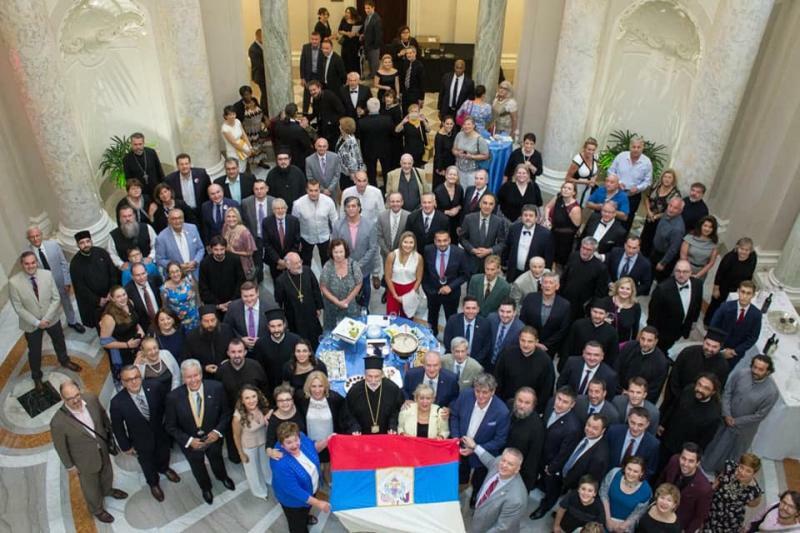 5:30-Reception at the Carnegie Institution for Science, sponsored by the Republic of Srpska Office for Cooperation, Trade and Investment. 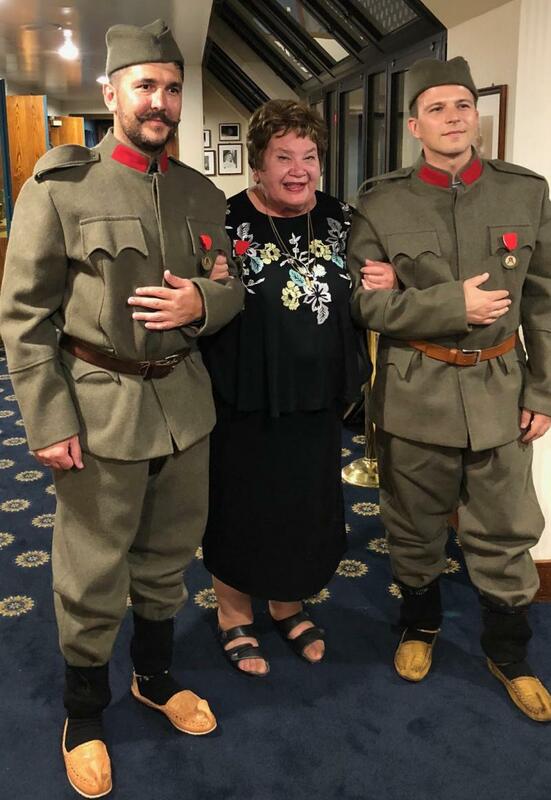 Mim Bizic holds her Teti Ljubica Bjelic's flag at the National Institute of Science after the speeches. 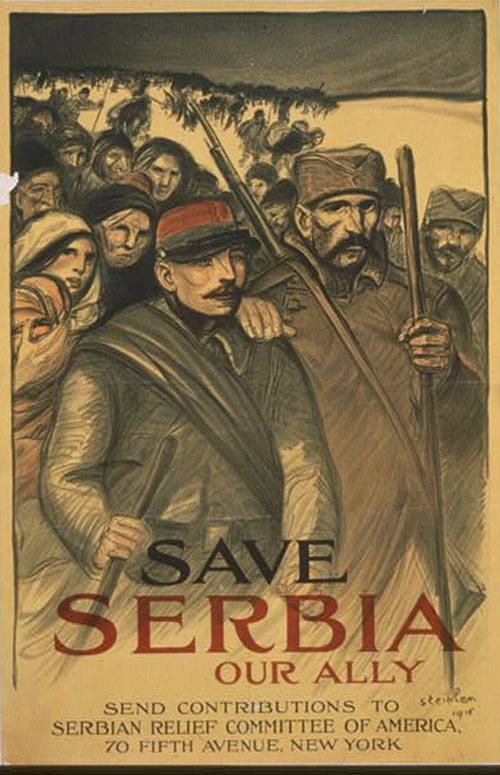 7:00 PM - Concert & Cultural Program at the Carnegie Instituion for Science sponsored by the Serb National Federation. 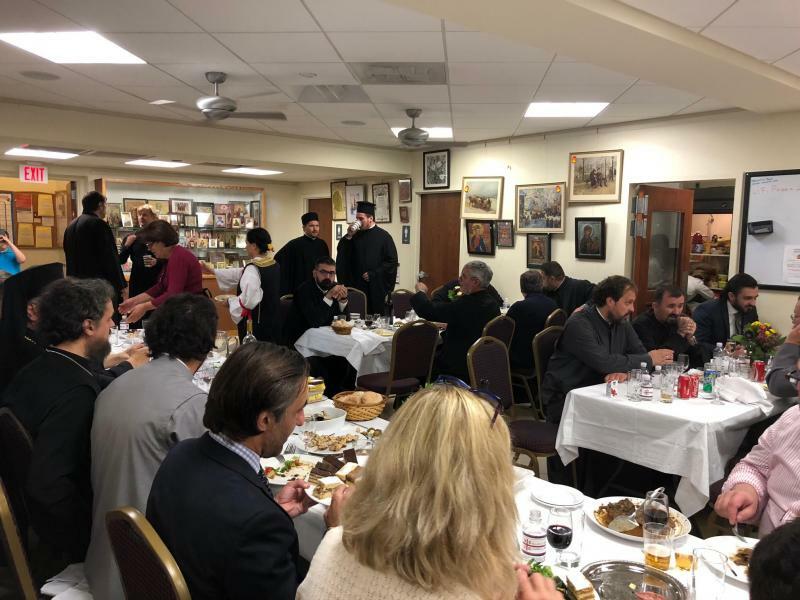 Performances by the String Quartet of the School for Musican Talents from Cuprija, Serbia, and the Serbian Singing Society "Lira" of St. Luke Serbian Orthodox Church of Washington, DC. 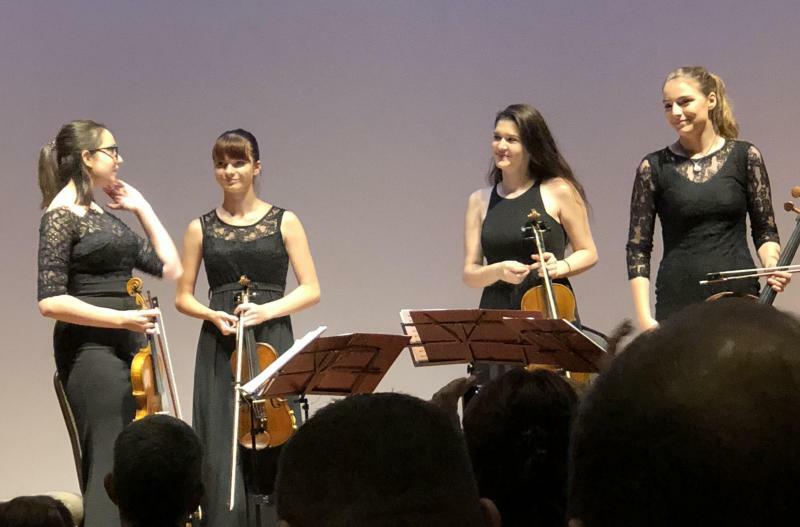 These 4 beautiful and talented musicians hail from Čuprija, Serbia. They also entertained at the Gala Banquet Hall in the National Press Club. His Grace Bishop Irinej thanks the St. Luke Lira Choir for their fine performance at the National Institute of Science. 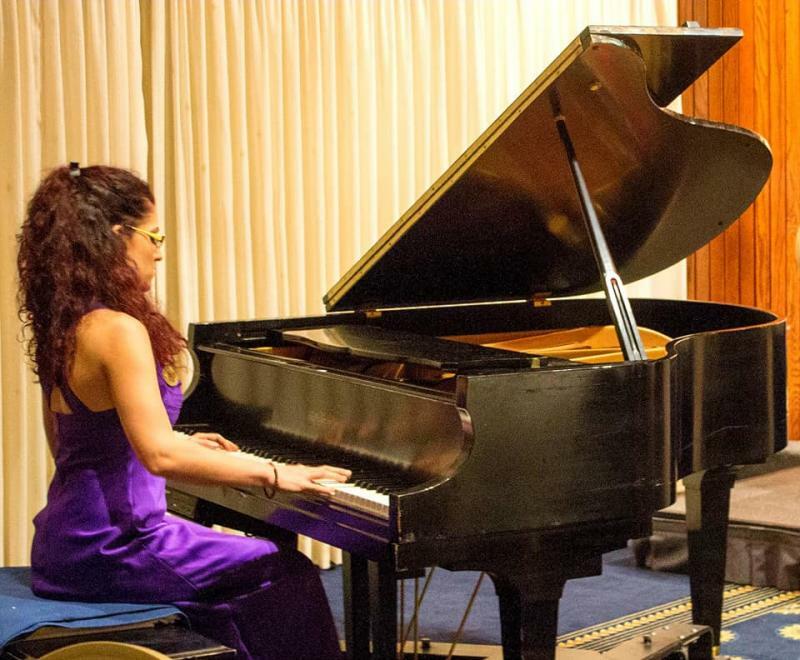 They also performed at the National Press Club for the Gala Banquet. 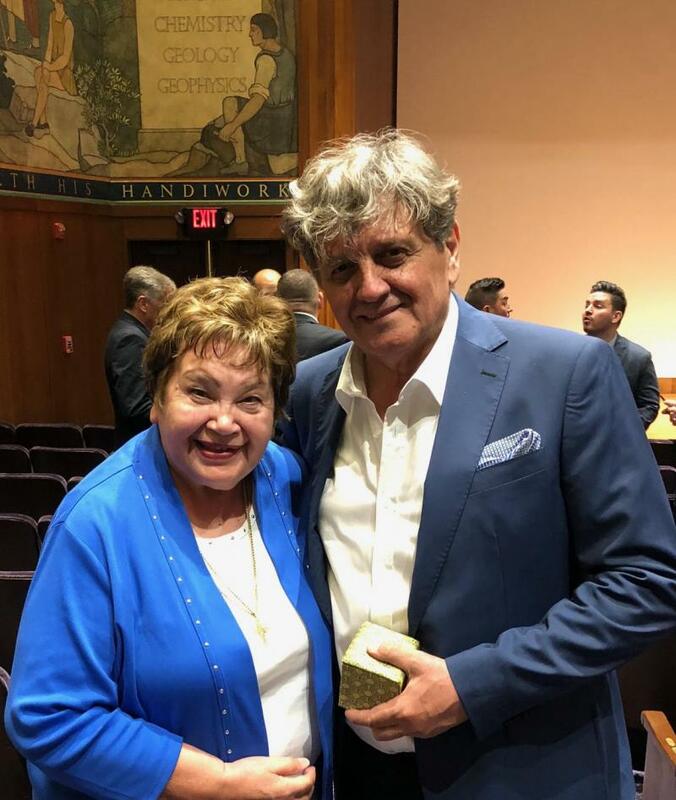 What a marvelous job this famous Serbian actor and Director did reciting great passages from heart! Now, here's the BEST part of the whole evening, and I have to thank Rarko Dadovanovic for this! Please take time to see and hear this! 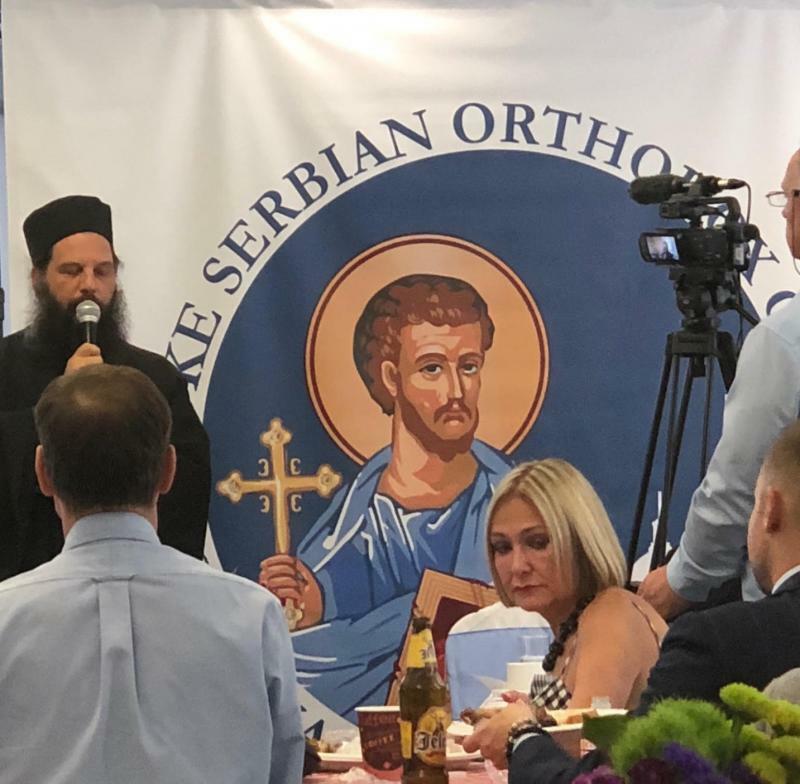 His Grace, our Bishop Irinej, tells WHY we celebrated this occasion. 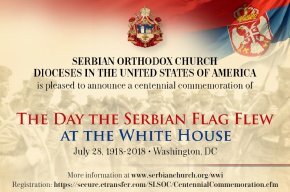 10:00 A.M. - Pan-Orthodox Hierachical Divine Liturgy with a Memorial Service at St. Nicholas Orthodox Cathedral National War Memorial Shrine in Washington, DC, followed by a luncheon sponsored by St. Luke's Serbian Orthodox Church. A most inspiring service with almost 30 clergy, followed by a Luncheon hosted by St. Luke's. 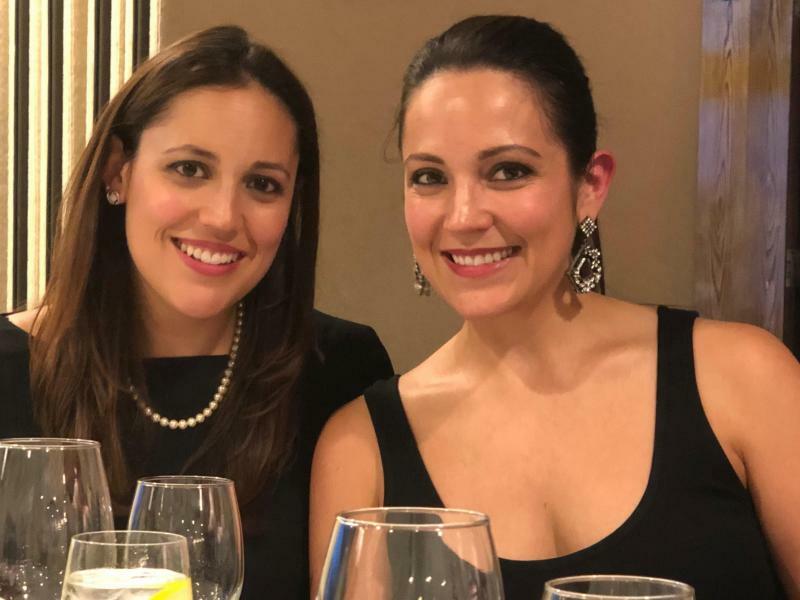 Beautiful ladies from St. Luke's! Prijatno! 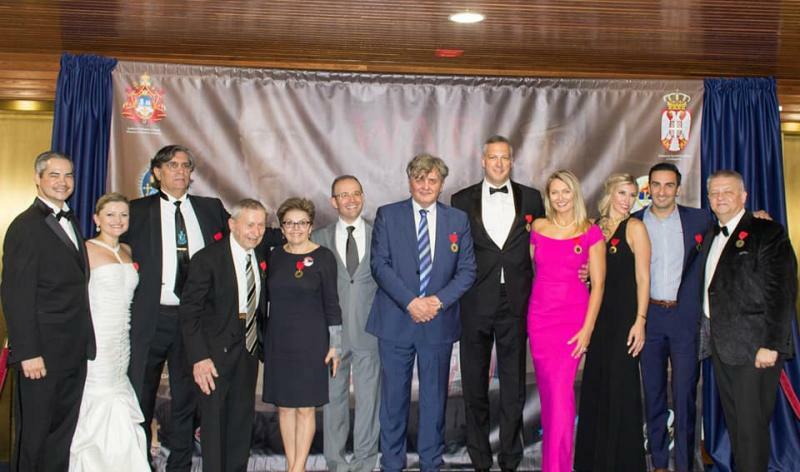 7:00 P.M. - Gala Banquet at the National Press Club on the occasion of the Centennial. 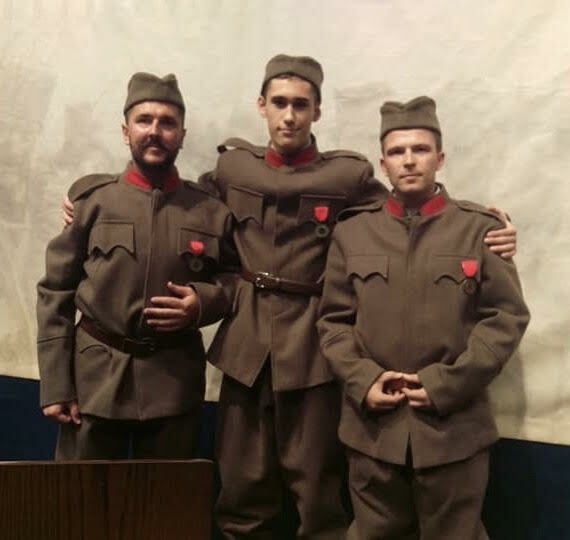 These "Soldiers" sure looked impressive in front of the large WWI poster that featured President Woodrow Wilson and Prince Regent Aleksandar Karadjordjevich! How we all loved these three! 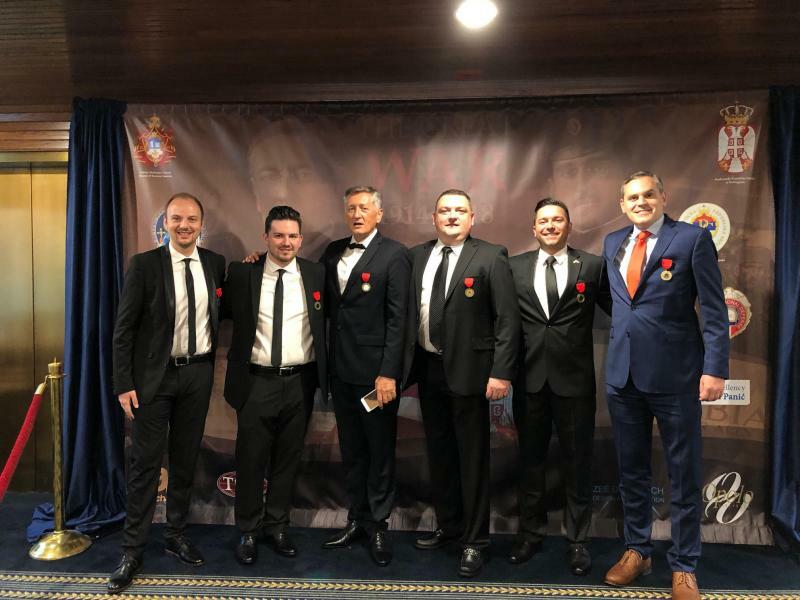 Branko Terzic served as Master of Ceremonies for the Gala Banquet. He is shown here wearing his double headed White Eagle medal, the highest honor Serbia can bestow on someone. An evening of first class entertainment! 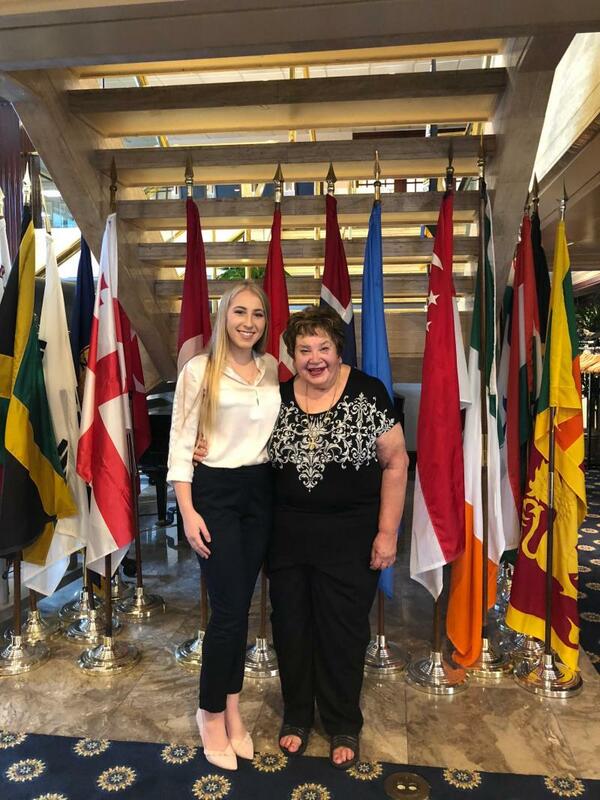 These two Visnick beauties are the pride of their mother and father (Joyce and Milan Visnick), but also all of us! The line up of talent shown here was superb! Click on the lower right hand corner to enlarge the photo! See you in church on Sunday! 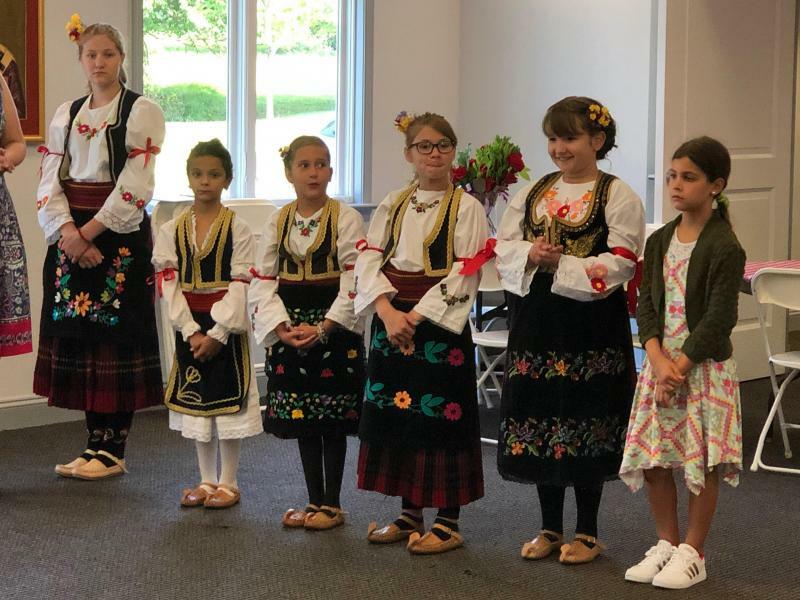 Greeting His Grace, Bishop Irinej are the young girls from St. Luke's Parish in Washington, DC. 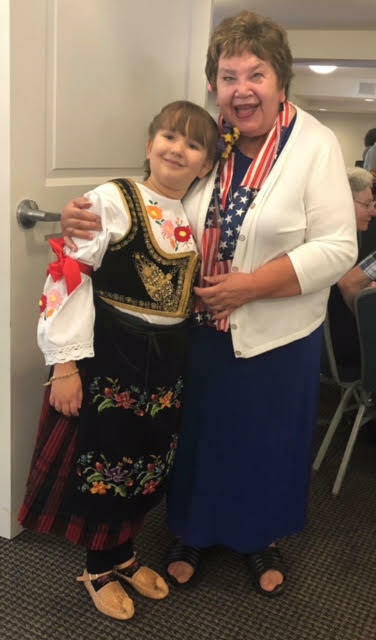 Grand niece, Amelia Bizic and her aunt Mim Bizic at St. Luke's Family Picnic, a beautiful ending to a great celebratory event. 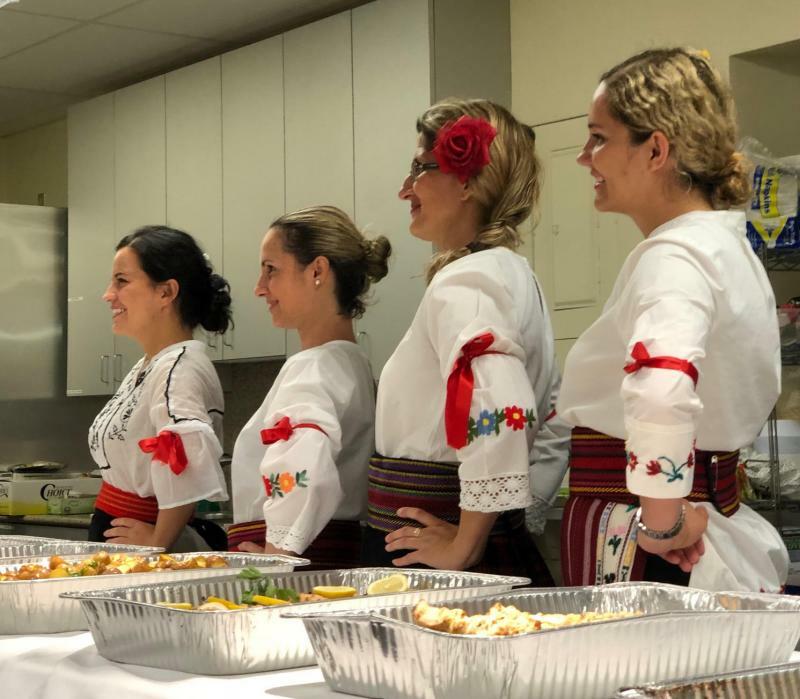 12:00 P.M.-Family Picnic, hosted by the St. Luke Serbian Orthodox Church in Potomac, MD. 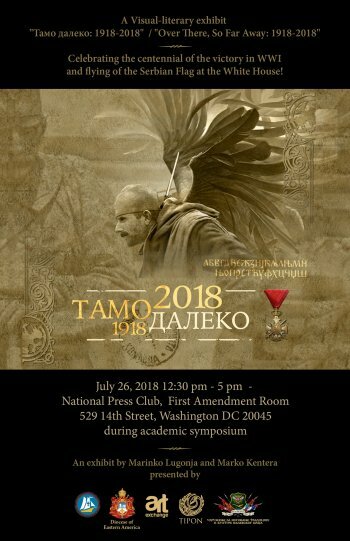 The visual-literary exhibit "Тамо далеко: 1918-2018"/ "Over There, So Far Away: 1918-2018,” celebrating the Centennial of the victory of Serbia in WWI, was on display during the academic symposium on Thursday, July 26, and at the Gala Banquet on Saturday evening, July 28, 2018. 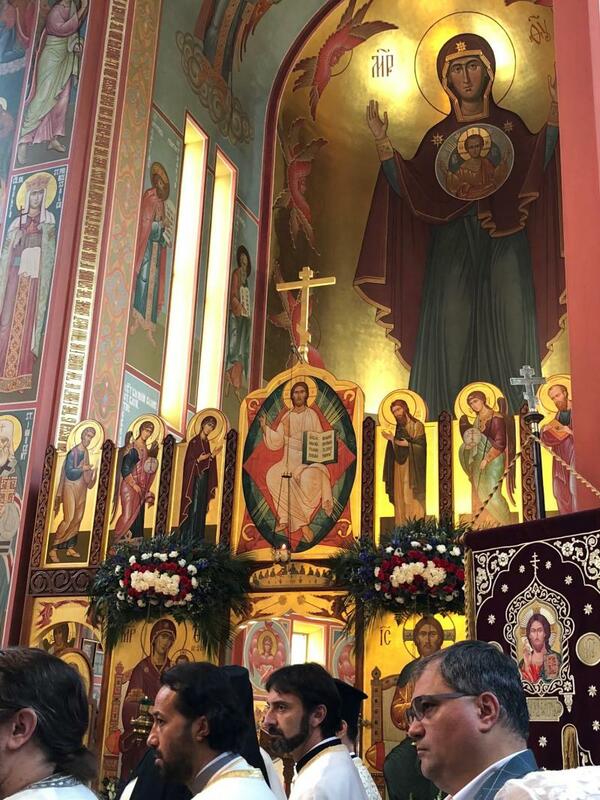 Click on the link below to the Serbian Eastern Diocese to read more about the glorious posters and their purpose. "We encourage you to be a part of this historic commemoration and look forward to seeing you in Washington, DC.﻿"
How to make a person feel like a million! These guys fit the bill to the hilt! They added such an air of "authenticity" to the evening! Lloyd Theodore Poe is an American politician who has represented Texas's 2nd congressional district in the United States House of Representatives since 2005. We were all so proud of the many roles John Buffalini played throught the five days in Washington, DC. 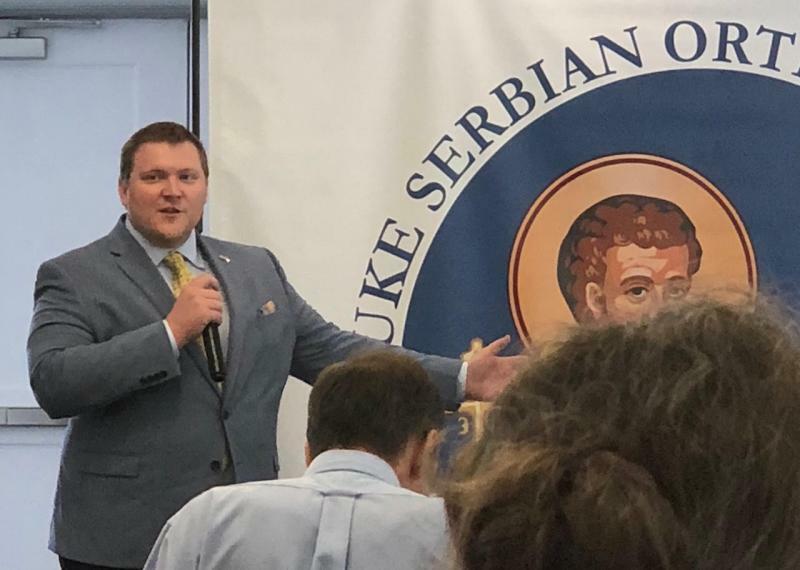 After a picnic lunch enjoyed by all at St. Luke's, we heard all about the plight and horrible, frightening conditions of the Serbian people living in Kosovo from this Representative. Most of the photos you see here were taken by me, Mim Bizic, but there are also some beautiful ones taken by Alex Kesic and others.